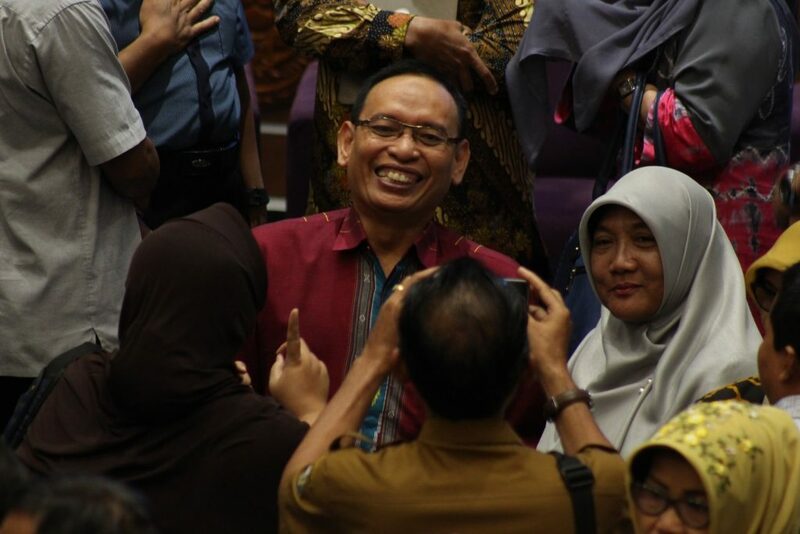 UNAIR NEWS – To answer all questions on Universitas Airlangga’s student admission, UNAIR Rector Prof. Moh Nasih invited school principals in East Java. The annual dissemination event on SNMPTN and SBMPTN was attended by 310 school principals in East Java. 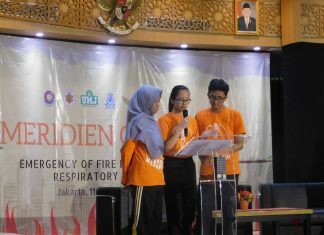 The dissemination was held on Monday, Feb. 11, 2019 at Garuda Mukti Hall in Universitas Airlangga Management Office. The Rector emphasized that in 2019 there will be a slight increase in student quota in UNAIR. in 2018, UNAIR bachelor’s degree pathway received 5,125 students, then in 2019 UNAIR will admit a total of 5485 students. The classification, 1650 students for SNMPTN, 2195 students for SBMPTN, and 1640 students for independent admission. The programs with additional quota are Faculty of Dental Medicine, Faculty of Pharmacy, Faculty of Law, Faculty of Public Health, and several engineering programs. The components of the SBMPTN assessment are derived from the student index and school index. From the school index, the capacity for each study program is determined. While the student index is fully calculated by the assessment of the central committee, in this case the College Entrance Test Institute (LTMPT). The components for SBMPTN assessment is derived from the student index and school index. The school index is the determined capacity for each program. Student index is calculated by the central committee, in this case University Entrance Test Agency (LTMPT). “The first index used for SBMPTN pathway is the school index, written test results that come from their respective high schools. So, SBMPTN result of students in each school greatly influences the school index, “explained UNAIR Rector. In the SBMPTN pathway, the students’ nationalism insight will be taken into consideration. 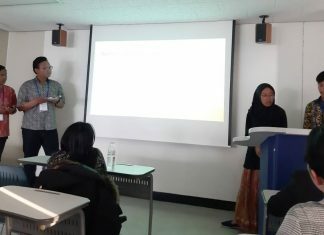 It will be is assessed from the essay written by the prospective students. The Rector emphasized that UNAIR accepted not only bright students, but also those who loves this nation. “So we will consider the nationalism value,” explained UNAIR Rector. For applicants from Tahfidz pathway will not automatically be accepted. Academic ability is also a consideration. For students who have been admitted by SNMPTN or SBMPTN in UNAIR but resigned or failed to re-register will affect the credibility of the school. The education evaluation of students studying in UNAIR will be held not only for the first two years, but the first year. If within 1 year the students’ grade point average (GPA) does not reach 1.00, the students will be expelled from UNAIR. 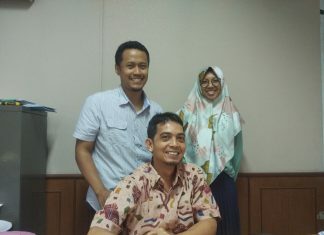 “After this dissemination, hopefully colleagues from the schools, especially school principals and teachers, understand well the mechanism of admission in UNAIR, so the results (admission, ed) can be understood. 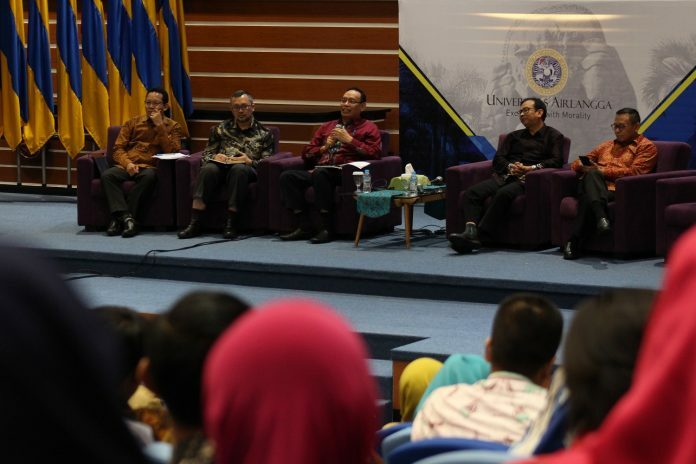 Because all this time, there are still many questions from schools, “explained UNAIR Rector.